Critters love your plants and gardens. An effective fence can help protect them! It is not unusual for gardeners to have all kinds of run-ins with pesky critters. The most environmentally and animal-friendly solution is to choose an effective barrier. This will keep them out and your plants safe. While farm dogs can be a huge help, and certain repellents and scare devices work on certain types of animals, nothing beats a garden fence for consistent around the clock garden protection. Read on to learn more about choosing the right fence to keep your land critter free. You can’t choose the right fence for your situation without knowing what kind of critters you are trying to keep out. The eight most common garden pests are groundhogs, deer, rabbits, raccoons, pocket gophers, voles, squirrels, and skunks. While opossums and moles are often considered pests, they actually generally do not directly damage crops and eat enough insects to benefit gardens. While you can see the damage done by certain pests during the day, it can be harder to see at night. Set up a motion sensor light next to your garden, then turn off most of the lights in your house and wait by the window with binoculars to get a look at what you’re dealing with. 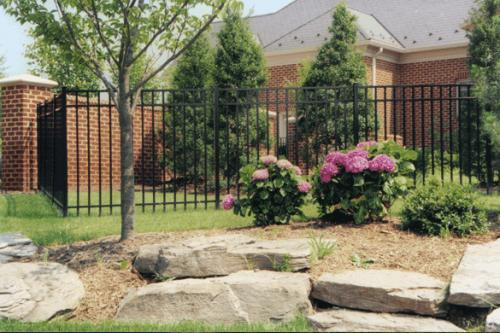 Do you need to fence your entire garden, or only a vulnerable portion? For very small areas, utilizing a chicken wire over cover makes much more sense than installing an entire fence. However, if domestic animals, deer, or territorial critters are a problem you will definitely need a perimeter fence. If you have a rabbit problem, do not choose a plastic mesh fence, as they can chew right through it. Opt for rot-resistant types of wood instead. This entry was posted on Friday, January 6th, 2017 at 8:10 pm. Both comments and pings are currently closed.